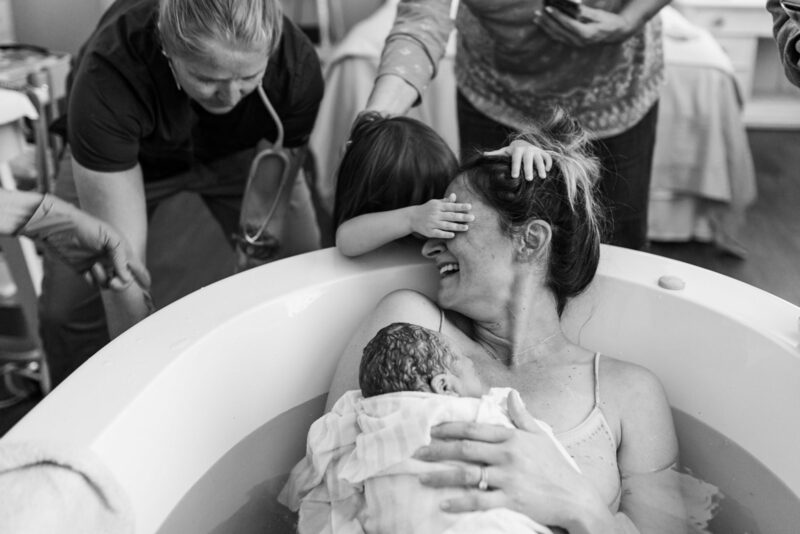 More and more women are discovering how wonderful a bath of warm water can be during labor and birth. Relaxing in warm water to relieve discomfort has been used for everything from backaches and other sore muscles to stress and menstrual pain. 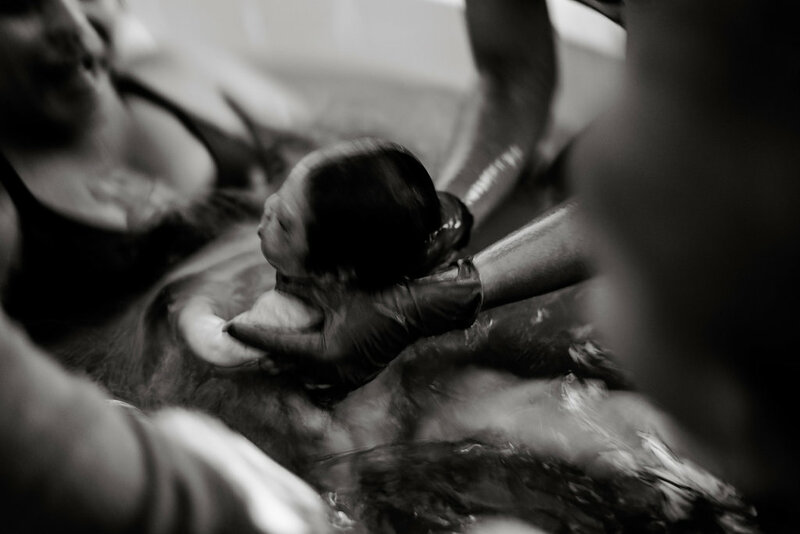 Many women have discovered the benefits of laboring and birthing in water. Warm water envelops the body, which creates a weightless feeling and lessens the sensation of the contractions. As the body relaxes, adrenaline levels are lowered and endorphins are released; these hormonal painkillers reduce stress and lessen pain, allowing both physical and mental relaxation. Warm water increases venous pressure so that veins can return blood to the heart more efficiently and your baby receives more oxygen. It enhances cardiac action and slows the pulse rate. Total relaxation in the warmth and comfort of the water helps the uterus contract more effectively. Water also counteracts the force of gravity and any pressure a woman feels inside her body, creating a further pain relieving effect. Most women find their ability to concentrate is improved, allowing them to focus inward on the birth process. This promotes the progression of labor, making it easier, shorter and even more enjoyable. 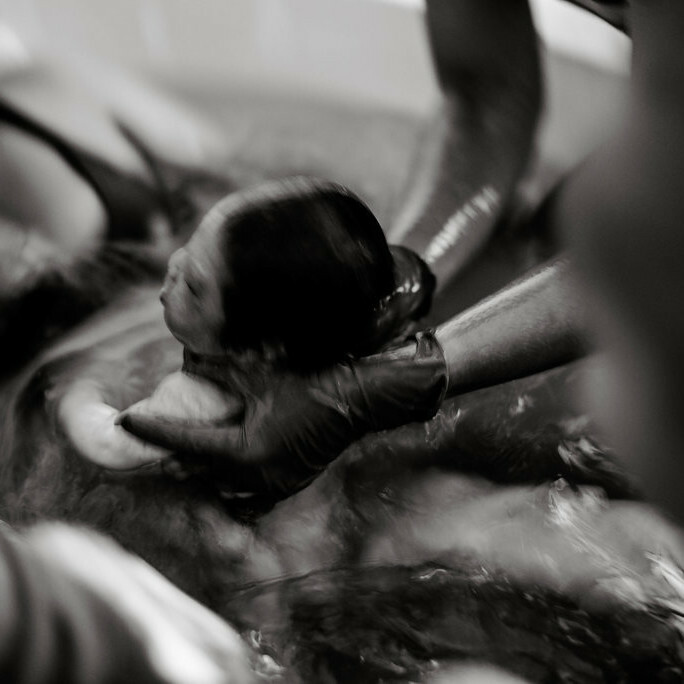 Laying in water helps mothers surrender to the birth process and become deeply centered. It can create a feeling of tranquility and instinctive state of mind. 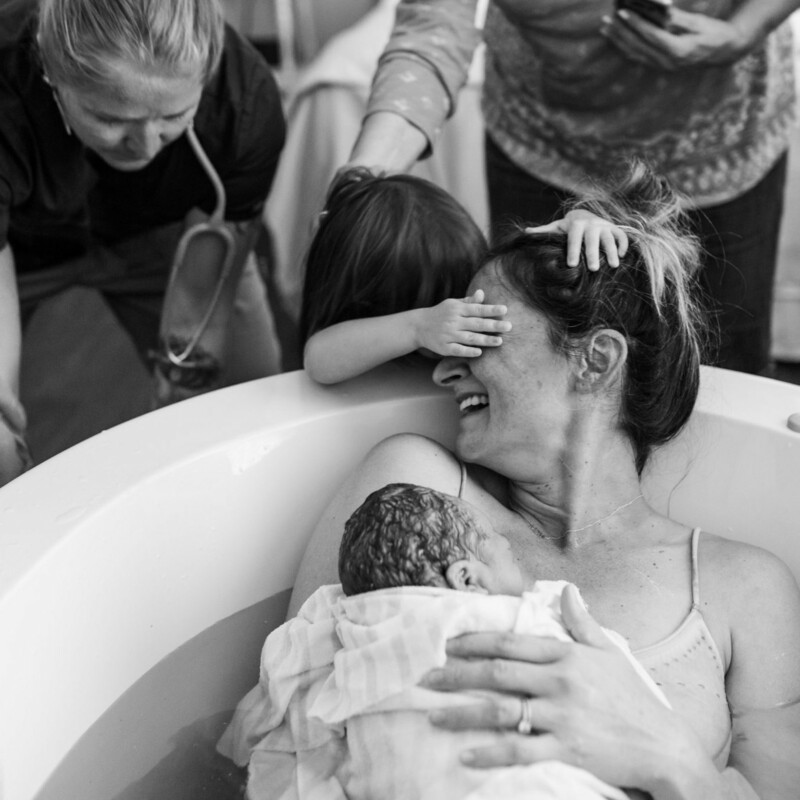 If your birthing plans include a waterbirth, Katrina, Jamin and La Shel are highly experienced in the process and recognize the many advantages of water to both mother and baby. 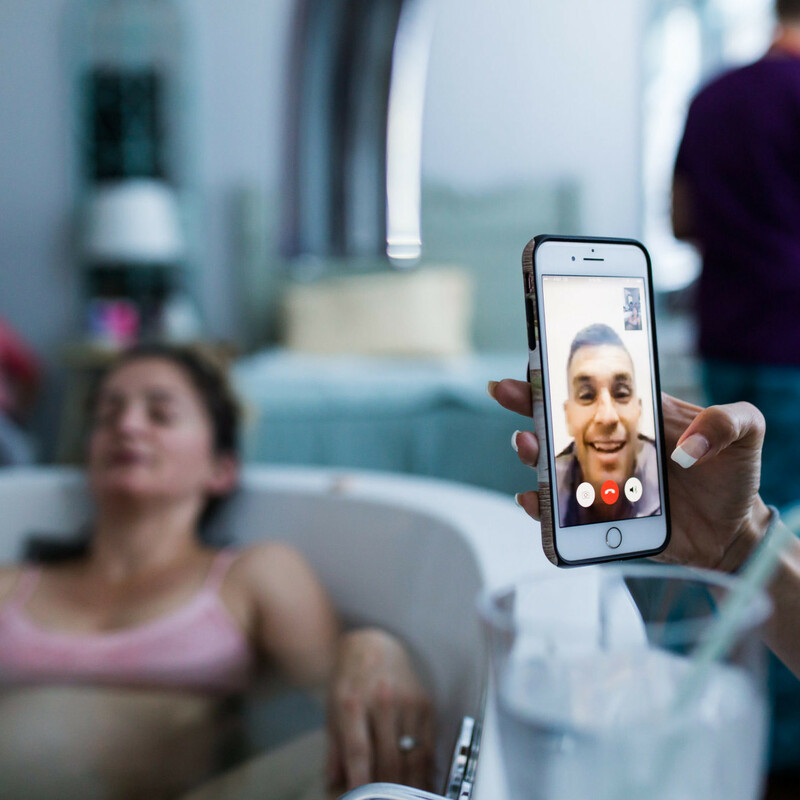 They strongly support and encourage your choice for a waterbirth and will help you prepare for the experience at home or Babies in Bloom birth center.